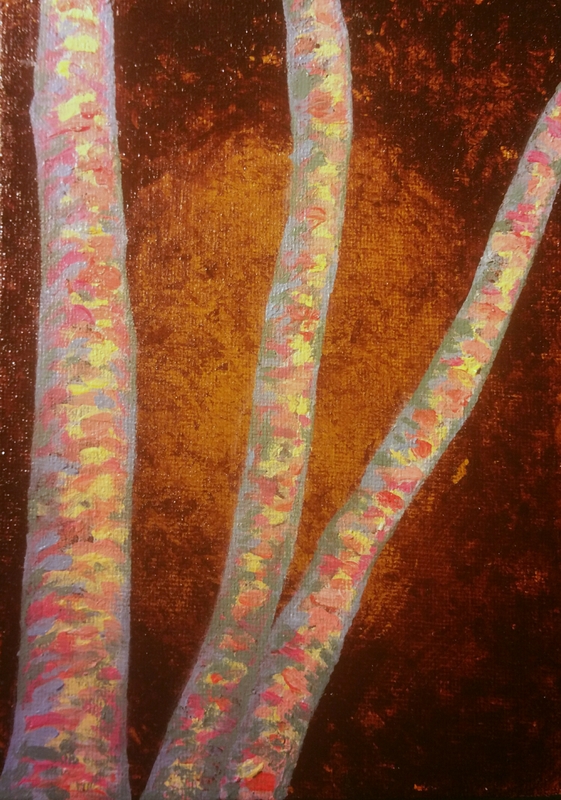 I am working on some more trees, because that is my thing lately. 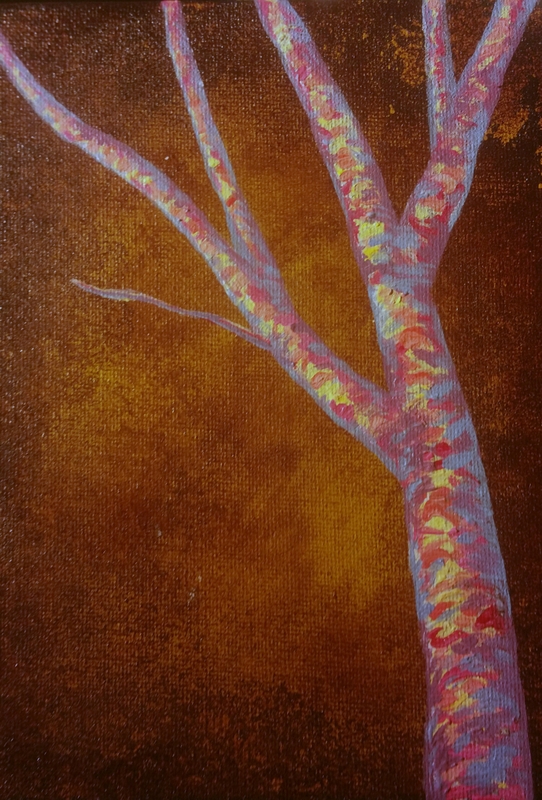 You can see what the trees below looked like last time I worked on them and others. 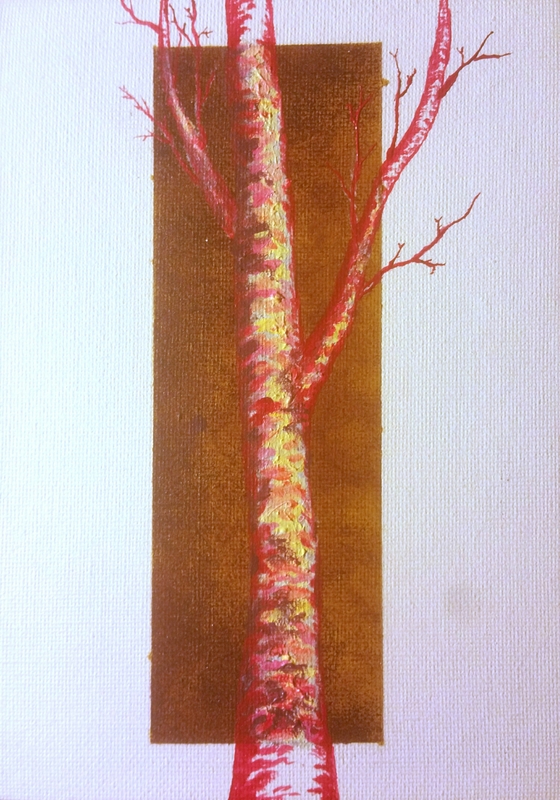 *including the five I have recently finished here: Trees in Progress . 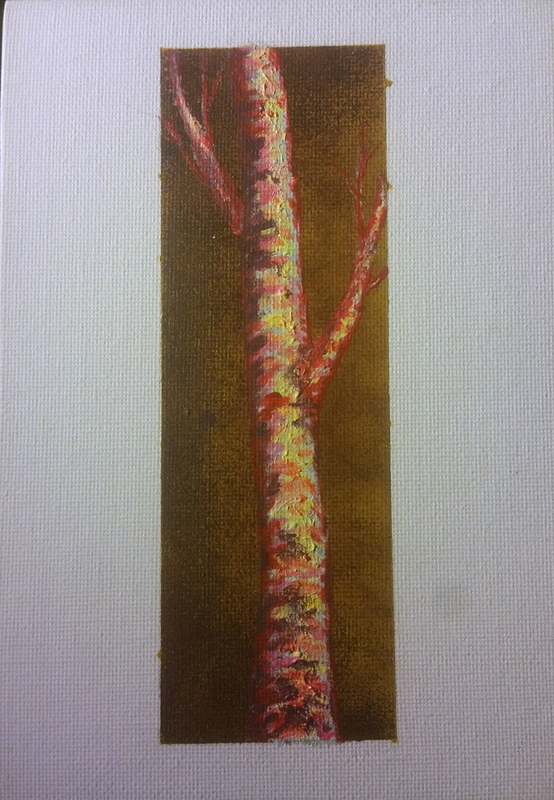 I am taking these three fun birches below in a different direction than the ones I recently finished. I hope you enjoy them. I may change the background on these, but I will decide after the trunks are all finished. 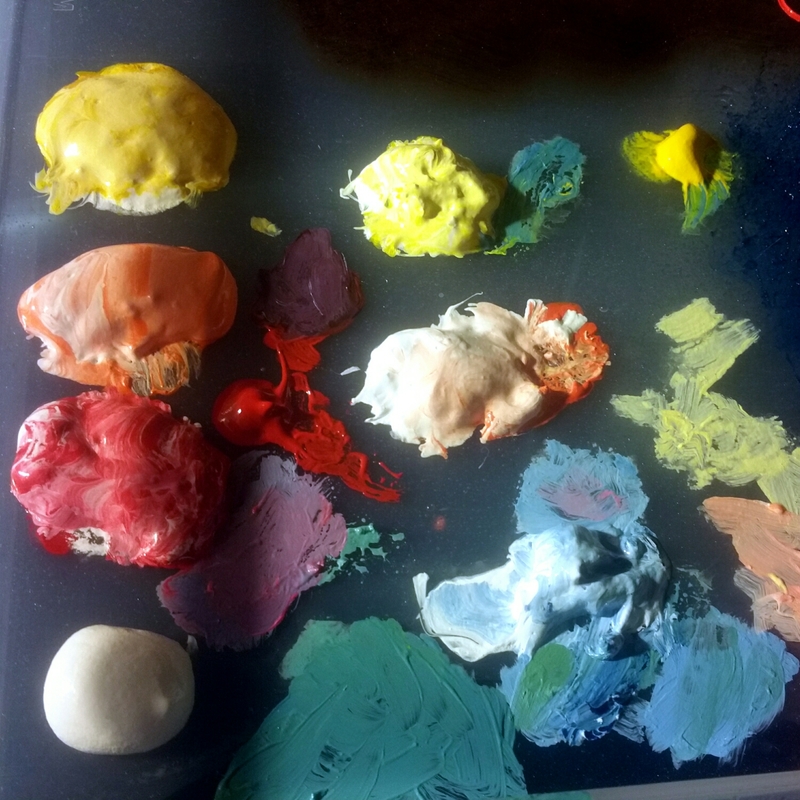 I am using a variety of different color mixes in each painting. This was the last one I worked on before I decided to go to bed last night. I always choose what colors I am going to work with before I set up. This prevents me from endangering my groove due to fumbling for colors while I’m on a roll. I really like the way it is breaking free from the background. It reminds me of how tree roots crack boulders and foundations if they are in the way.